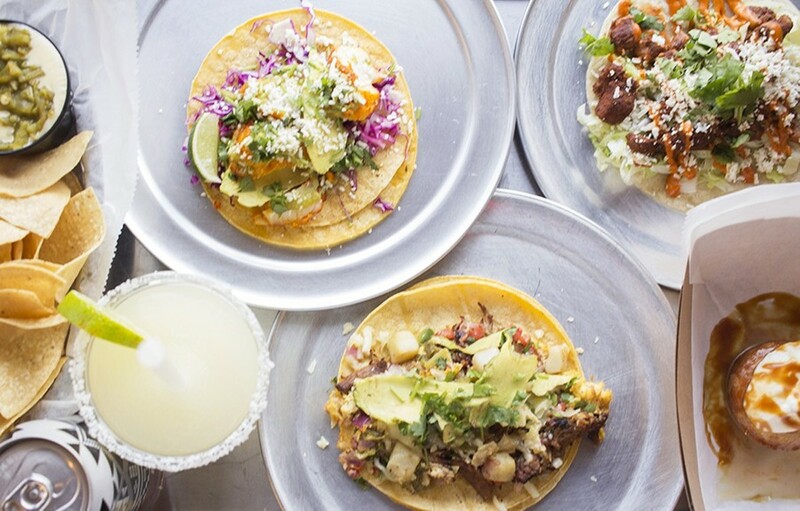 Taco Buddha offers a variety of tacos, along with refreshingly tart margaritas and tres leches cake. 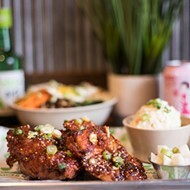 Taco Buddha has a decidedly laid-back, Mountain West way of dealing with its tiny dining room. "We have some blankets over there," the woman working the counter told us, pointing to some wooden shelves lined with T-shirts, cacti and assorted Southwestern knickknacks. "You can grab one and sit around the fire pit outside. It's actually quite nice." As if to drive home the merits of a dining arrangement that hibernation-inclined St. Louisans might scoff at, owner Kurt Eller piped up as he made his way out of the kitchen. "There are four outdoor heaters that make the patio really warm," he said. "Really, it's good until at least 40 degrees." I smiled and nodded at his suggestion, but inside, I had to laugh. Sure, we Midwesterners are fans of dining al fresco, but the thought that we'd take a page out of his Santa Fe playbook and eat dinner outside when the temperature drops below 70 seemed aspirational at best. Breakfast tacos and Hatch chiles are imports we'll take, but eating tacos on a patio when it's cold enough to see your breath? That felt like a step too far. 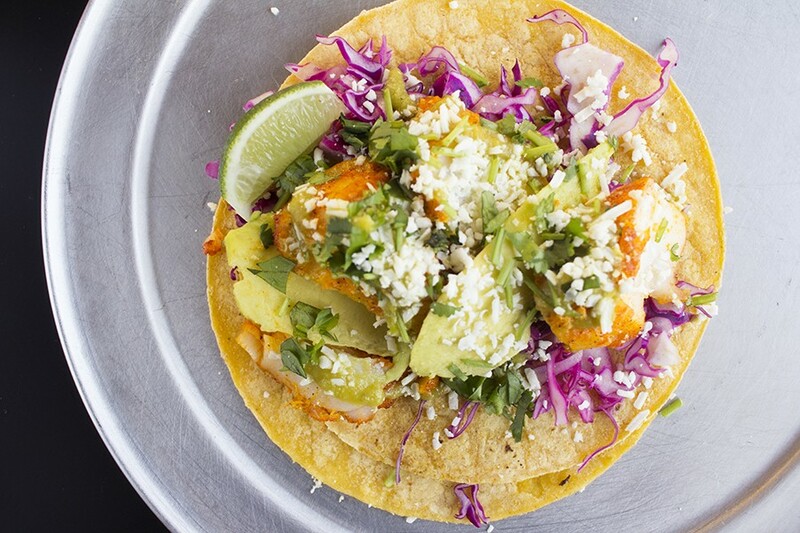 The achiote fish taco features wild cod with cabbage slaw, cilantro, cotija cheese, avocado and jalapeno sauce. A subsequent visit on a busy Friday night had me eating my words. As I walked up to the restaurant, bundled up in a wool coat and still shivering, I could hardly believe my eyes. 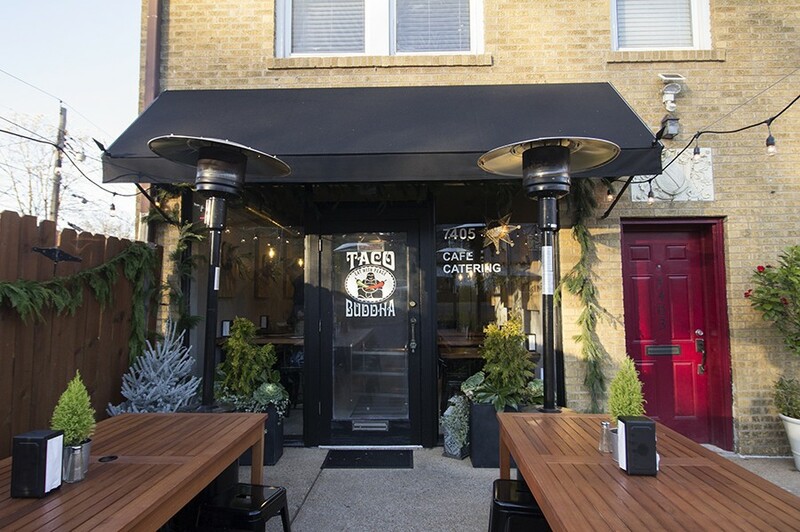 Taco Buddha's small patio was occupied — not sparsely with a few brave souls, but full. At the four communal wooden tables, diners sat elbow to elbow, washing down all sorts of tacos with cans of New Mexico-brewed beer. Desert landscaping and a wreath made of chile peppers gave the space the feel of a Southwestern garden, with classic country playing softly in the background. If I didn't know better, I would have thought I'd stepped through a wormhole into Santa Fe, or Austin, or Denver. But I was firmly in St. Louis, on the corner of Pershing and Jackson in a residential part of University City that has seen its fair share of businesses come and go. Indeed, if I was surprised at the patrons' willingness to brave the cold, I was even more shocked that the house was packed in the first place. The building has seen quite a few concepts — Sofia Bistro, La Piazza, Bici and Perjax. Nothing seems to quite take off in the spot, which has led to whispers about the building being cursed (hence the adjacent bike and coffee shop's name: Cursed Bikes and Coffee). 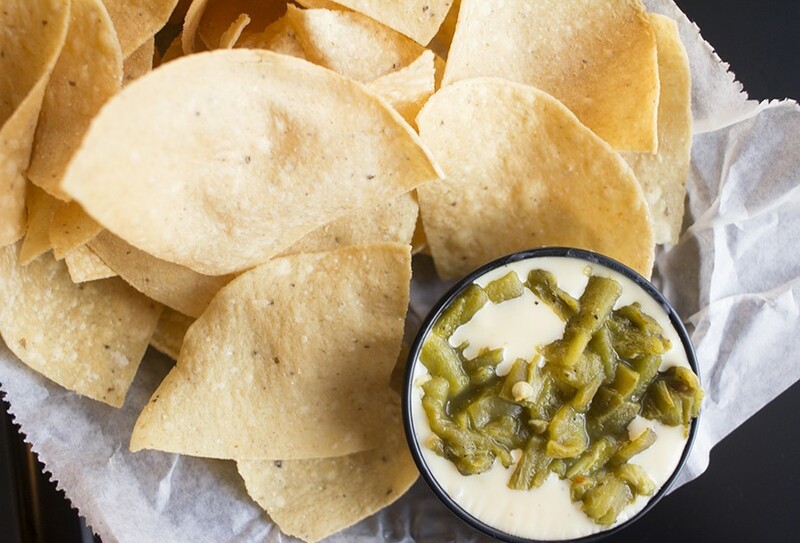 You can get your chips with a side of green chile queso. Clearly, the line out the door that Friday night tells a different story, one that Eller was confident of when he signed the lease on the building this past summer. Despite the spot's reputation, he was convinced a winning concept could turn its fate, and he was certain he had that in Taco Buddha. 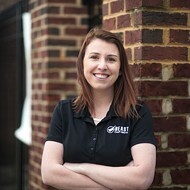 After moving to St. Louis from Austin in 2006, Eller found himself out of the restaurant business, where he'd spent many years, and on an entirely different career path. He began catering weddings and small events under the name Taco Buddha in 2014, and his catering success, together with a desire to get back into the restaurant industry, led him to chat with Cursed Bikes' owner Jeff Gerhardt, who was looking to sublease part of his space. 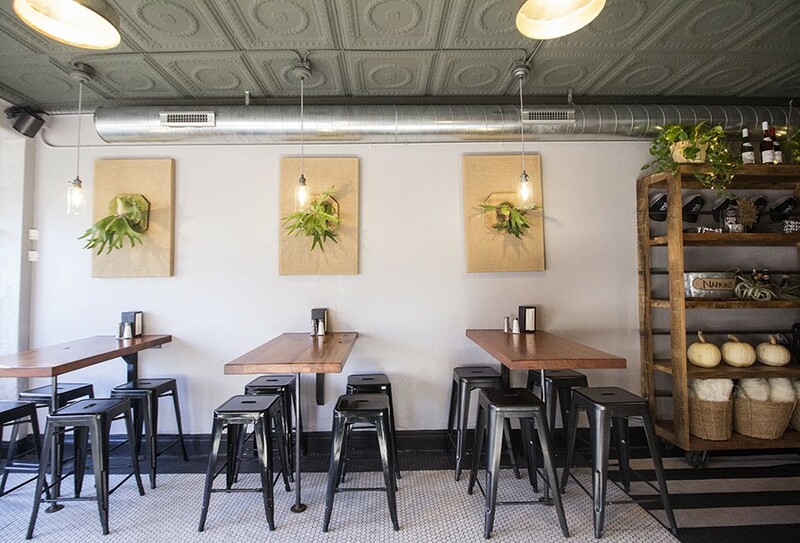 After some aesthetic changes out front and minimal changes to the kitchen, he and partner Erin McCracken opened Taco Buddha's doors in August. Designer Erin McCracken has made the small room look big. Though the dining room is small, it has a distinctively Southwestern point of view, courtesy of McCracken. An interior designer by trade, she's made the small space seem large with seating for roughly twenty people at wall-anchored rustic wooden tables that line both sides of the room. Above each table are pieces of living artwork: Canvasses with ferns peeking out of them like antlers give off a desert ambiance, and the wood-and-iron order counter adds to the New Mexico-influenced style. Taco Buddha and Cursed Bikes and Coffee share more than just a wall. An adjoining hallway connects the two businesses, and, in keeping with the relaxed atmosphere of both businesses, Eller and Gerhardt welcome guests to move freely throughout both spaces. Cursed Bikes customers can grab a breakfast taco at Taco Buddha; Taco Buddha patrons can bring over their mug of coffee from Cursed. The arrangement comes in handy on busy weekend nights when Eller needs that extra real estate for his diners. Eller is a restaurant veteran and fine cook (in addition to owning a restaurant in Austin, he spent a year training under a chef in Houston). Still, he reached out to chef Ben McArthur to help fine-tune his menu for a storefront. The St. Louis chef, who most recently won accolades for the now-shuttered J. McArthur's: An American Kitchen, serves as Taco Buddha's chef consultant. 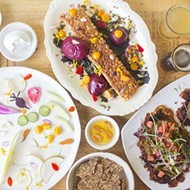 With his help, Eller put together a selection of eclectic tacos that have a decidedly global influence while still seeming cohesive. 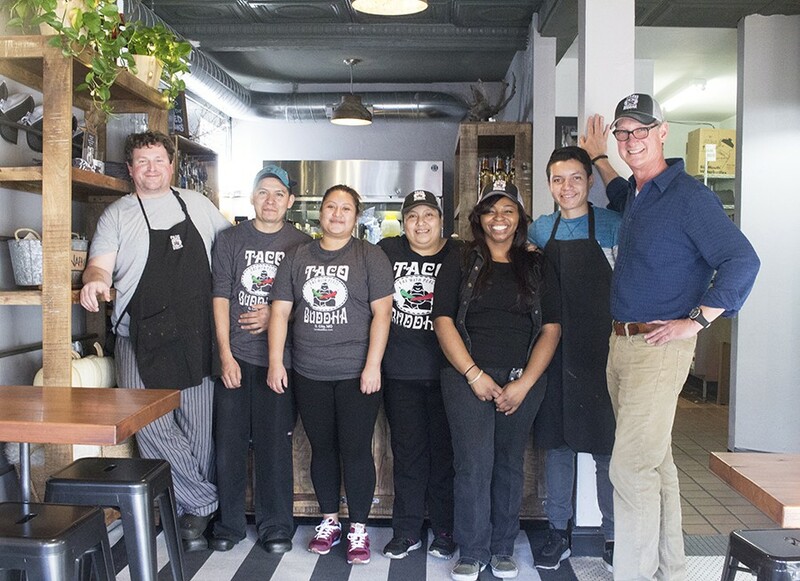 Chef Ben McArthur (far left) and owner Kurt Eller (far right) with Taco Buddha staff. A deft touch is evident in all the vibrant flavors on offer, like the succulent shredded beef barbacoa. Hunks of rich beef the consistency of pot roast fill a warm corn tortilla to the point you'd think it might burst. Lettuce, onions, cilantro and lime cut through the richness; cojita cheese and avocado add to it. You could walk out satisfied after eating just one beef barbacoa taco, though you'd be missing out on the "spicy-sweet" pork version. Juicy pulled pork, kissed with the warm sweetness of baking spice, is glazed with red chile sauce that gets a pop of sugar from tiny bits of pineapple. Tandoori chicken tacos also blend warmth and sweet, though here, the spice is cumin and cinnamon-forward masala with a touch of heat from an accompanying red chile cream. Mango chutney provides a tropical sweetness that makes the dish entirely Indian even as it's reminiscent of a Mexican-style al pastor. Apparently, it's become a fan favorite, and for good reason. 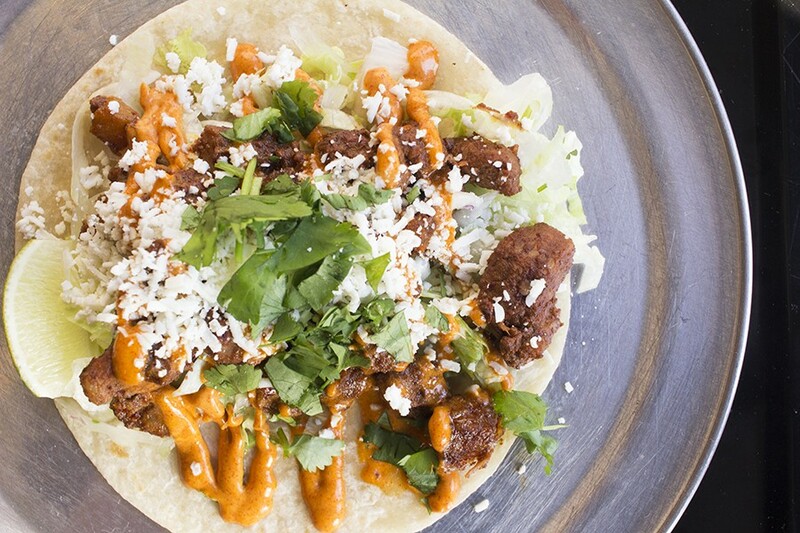 The al pastor taco is topped with red chile cream, cotija cheese and cilantro. Another chicken taco, the "Chicken Tinga," could just as well be on a barbecue menu; the pulled chicken is covered in a hearty chipotle tomato sauce that tastes straight from the smoker. Some crisp cabbage slaw evokes a Carolina pulled pork sandwich. Washed down with one of Eller's refreshingly tart frozen margaritas, it's about as good as fusion dining gets. 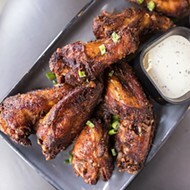 The kitchen's comfort with Southern food also comes across in Eller's blackened shrimp taco, in which perfectly cooked shrimp are dusted with Cajun spices. The red chile cream competed with the blackened seasoning; I would have preferred the spices, complex enough on their own, with simple lime and cilantro. An appetizer of fried avocado slices was the only other miss of my visits. Though I appreciated the crisp panko breading's textural contrast with the creamy avocado, the flavor was bland. I found myself reaching for salt and the wonderful complementary red chile salsa to give the dish some taste. 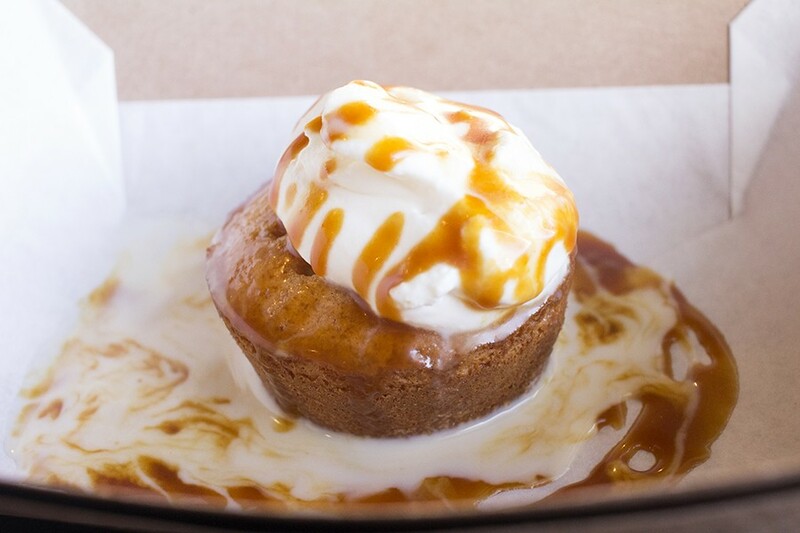 Finish your meal with a decadent tres leches cake. Green chile queso did not suffer the same problem. For someone whose love of Hatch green chiles borders on problematic (guilty! ), infusing these spicy beauties into a ramekin of impossibly luscious cheese offers a pleasure beyond words. Think jalapeños in ballpark nacho cheese, only eating them on a mountaintop in Santa Fe while watching the famous hot air balloons as Georgia O'Keefe paints you a picture. That's how good this tastes. Those chiles are the star of what is perhaps Taco Buddha's finest offering: its breakfast tacos. Filled with eggs and a selection of accoutrements ranging from potatoes and cheese to spinach and cheese to chorizo, these already perfect creations are made even more so when covered in these emerald jewels of the desert. Heat lamps keep the patio warm well into fall. And if you want all of the above and then some, the "Migas Scramble" is a mixture of eggs, tortilla strips, tomato pico, Hatch chiles and an optional chef's choice of meat. On my visit, it was the beef barbacoa. I didn't think the barbacoa taco could get any better. For the second time at Taco Buddha, I found myself proven wrong. I'd eat breakfast on that patio in the dead of winter if that was my only option for enjoying those tacos fresh from the kitchen. Hell, I'd do it even if there weren't any heaters. The warmth of those Hatch chiles is all I'd need — that and a little Western-style inspiration courtesy of this gem of a restaurant.